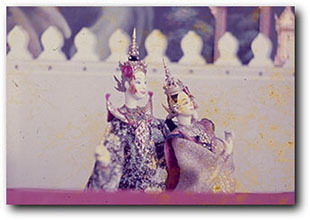 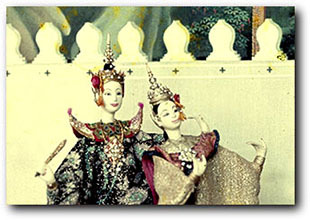 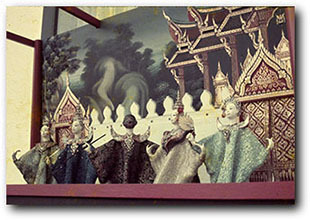 When he was studying at the Faculty of Painting and Sculpture, Silpakorn University, the curriculum required field study at the National Museum. 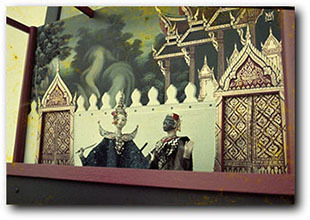 Having seen examples of old puppets, he constructed his own puppet theatre for 8-inch-tall puppets made of bamboo reeds in place of rods connected to small paintbrushes for manipulating the arms, in puppetry parlance, the so called �chopsticks�. 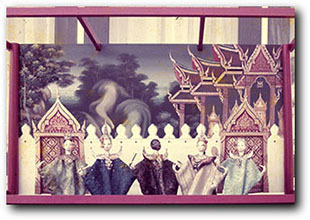 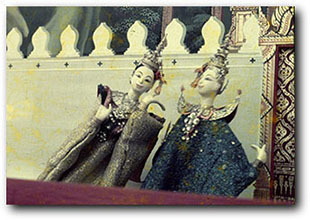 The small box theatre was painted with scenery of a proportionate size.